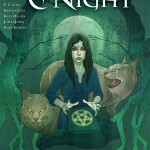 On Wednesday, November 9th, Dark Horse Comics brings you the first installment in their adaptation of “House of Night,” based on the series of books penned by mother/daughter writing duo P.C. and Kristin Cast. Ever since Joss Whedon gave us “Buffy the Vampire Slayer,” teen angst and the supernatural have become inextricably entwined in the land of young adult fiction. 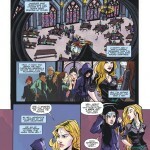 Enter Zoey Redbird, a 16-year-old, like Buffy, reluctant to answer her own calling. 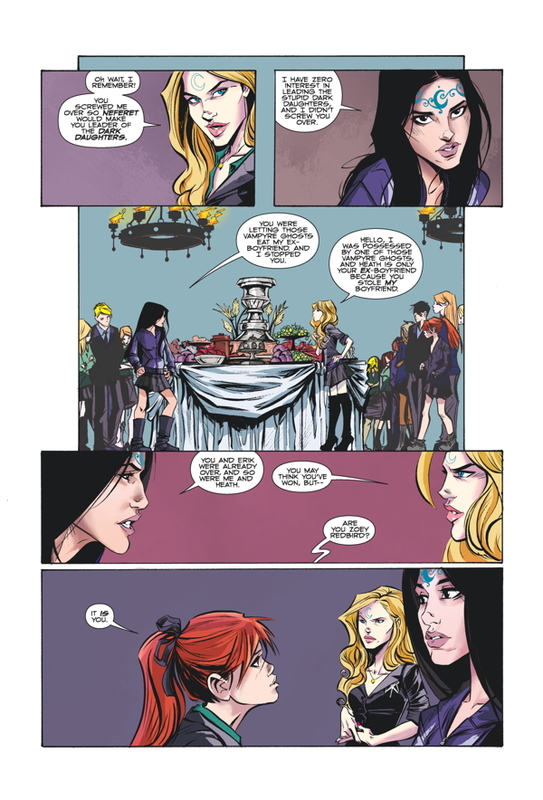 In a world where Vampyres (yes, spelled with a Y), Witches and Goddesses all exist, she must learn to embrace and develop her powers, all the while navigating the usual drama of school, bullies, friends, and a budding romance. 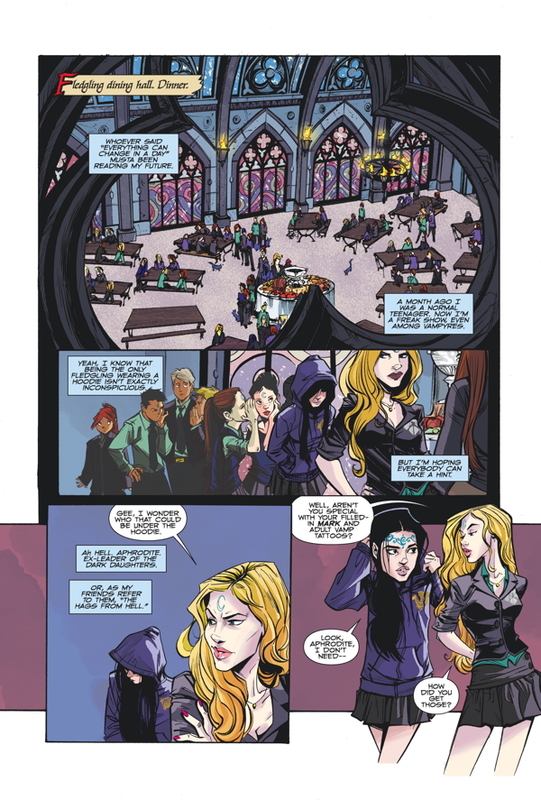 However, Zoey’s school is a bit different from most; she attends a “Potter-esque” Vampyre Academy, where she must learn to hone her craft, as she begins her transformation into a “creature of the night” herself. As Joss would say, it’s another allegory for adolescence and the horrors of High School. Been there, done that. 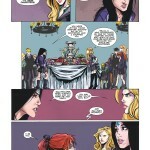 But what sets “House of Night” apart from the others, and that which piqued my curiosity, is the way authors P.C. 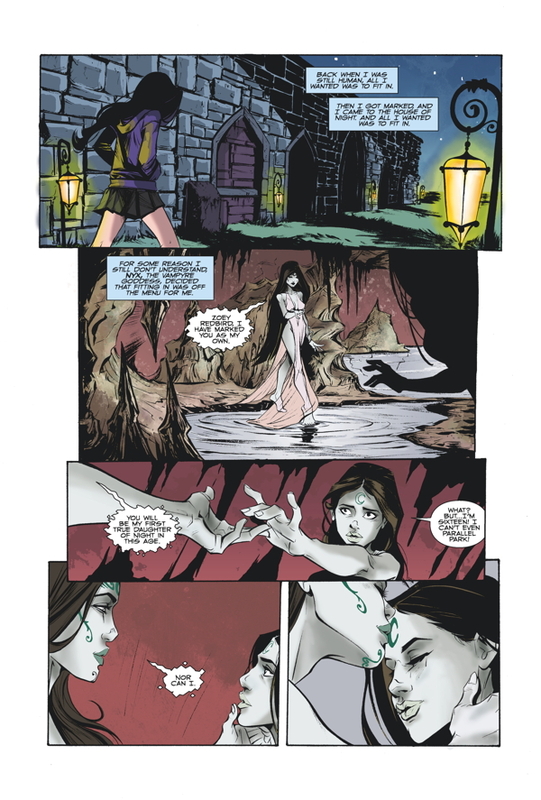 and Kristin Cast (joined by Kent Dalian for the graphic novel) manage to weave in elements of mysticism, mythology and lessons on spiritual growth throughout the plot. It will be interesting to see how these elements develop in further issues. The allure of the supernatural, the idea of a realm “beyond the veil,” fascinates most of us. 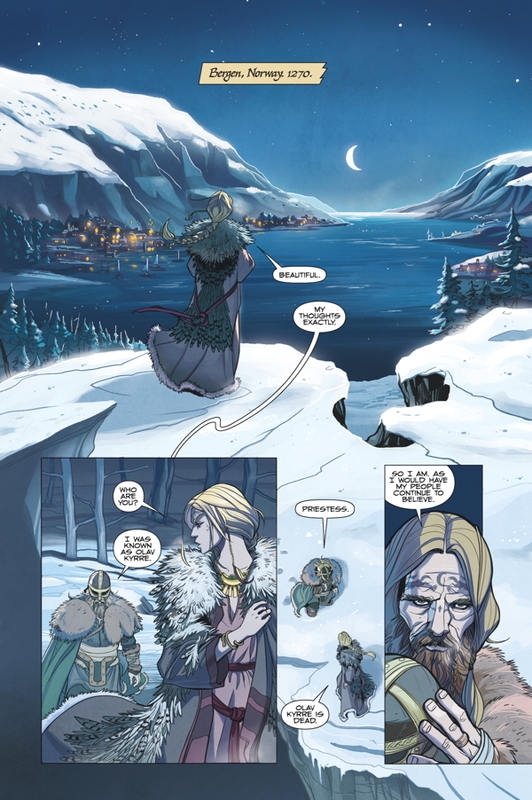 Of course, like the world of comic book heroes, we find that hidden world (a world beautifully illustrated by artists Joëlle Jones, Karl Kerschl and Jenny Frison) and the promise of power difficult to resist. Sadly, what I notice in popular teen fiction, is how it often discards the concept of consequences and finding balance when it comes to power. 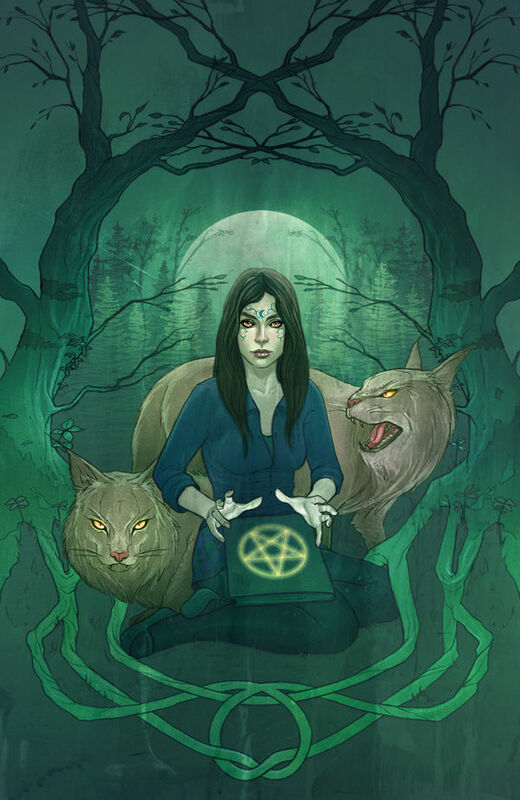 In my humble opinion, there should be more lessons on growth and spirituality and “be careful what you wish for.” I’d be curious to see if “House of Night” continues down this path. 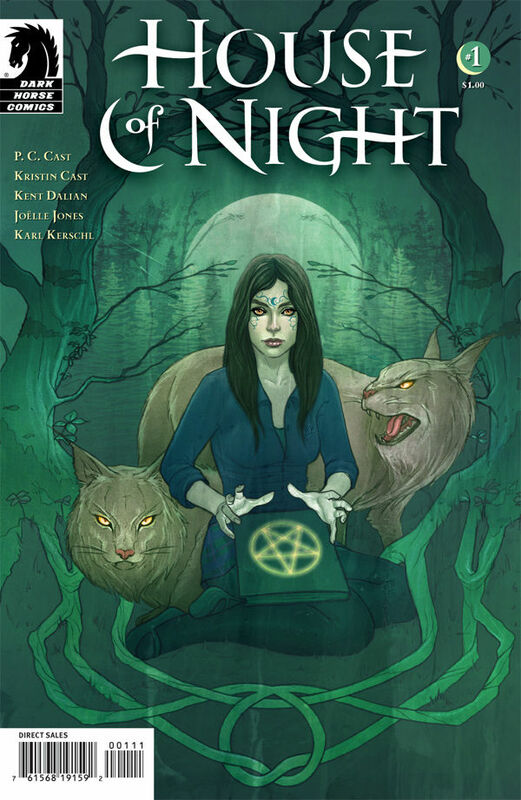 I get what “House of Night” is going for, but never having read the books, I found the first issue, although interesting and definitely able to hook a teen audience, a bit disjointed. However, if you’re a fan of L.J. 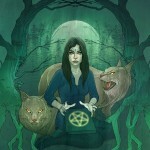 Smith’s “Vampire Diaries” or the “Secret Circle” series, as well as “Twilight,” there may be something for you here.